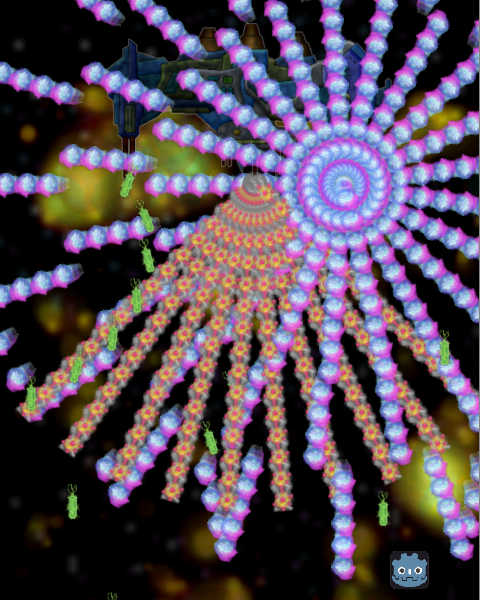 A Shoot'em up with Godot as Protagonist (at least for game jam). Battle against Space Invaders in an 2 button-only adventure. Game is still in development, but it's playable enough for the game jam. Edit: Fixed not going to menu when dying bug, please re-download if you had this bug. Directional Arrows or A+D (A + → Suggested). Move by holding the keys and to attack, there is a combo system that works alternating directions quickly, master the combo system and you will win. This version is a demo, it has several limitations and is not balanced at all. Code is under Apache License, my bullet system is advanced, should be useful for other projects.